So, remember how I said there are babies popping up everywhere? Well, the baby knitting has begun. As soon as I received my One Skein book, I cracked it open and started on the Petal Bib. It works up fairly quickly. I plan to be making a few more in assorted colors. Now, my only question is should I give a boy a Petal Bib? Is that a little too weird? Or are they small enough and the bib is cute enough that it won’t matter? In any case, I love this pattern. I was a little mixed up at first since I somehow made one of the petals one stitch too short. Once I figured that out, I was flying. This is totally a last minute gift! Notes: Totally cute and quick knit. Be sure to block the petals when you are done or they curl. And then I knit a second LMKG Baby Placket Sweater. Well, actually, I knit the sweater first and used the leftovers for the bib. And I still have most of a skein left!! Guess it’s more Petal Bibs! 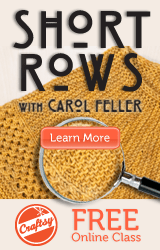 This really is a great pattern to knit up a quick little, stylish sweater. Last time I used real buttons and made button holes. This time I followed the pattern and used Pony Beads. I think it looks just as cute. Notes: This is #2 I have made from this pattern and yarn. It must be good! Ofcourse you could give petal bib to a boy! Babies are so cute with things like this! Thanks for the tip, Amanda – I am always looking for quick knits for new babies as well and I have the One Skein book so will work some of these up too. And I think the bibs are fine for boys too, despite the petals. I hear ya on the baby gifts. I’ve got 5 showers between now and November! so cute! now i have even more ways to use up my CE.